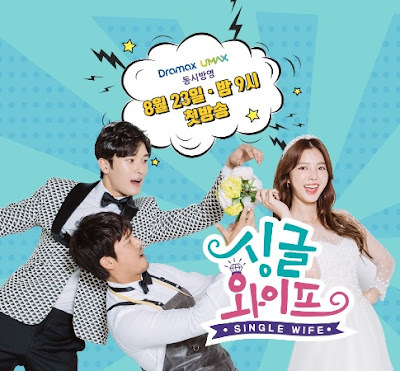 Single Wife (Hangul: 싱글와이프; Revised romanization: Shinggeulwaipeu) is 2017 South Korean series starring Uhm Hyun Kyung, Sung Hyuk, Kwak Hee-Sung and Yu Na. The Drama is written by Lee In-Hye and directed by Jung Yoon-Soo. It premiered on August 23 to September 28, 2017 and airs every Wednesday and Thursday at 21:00 (KST) on DramaX, UMAX.